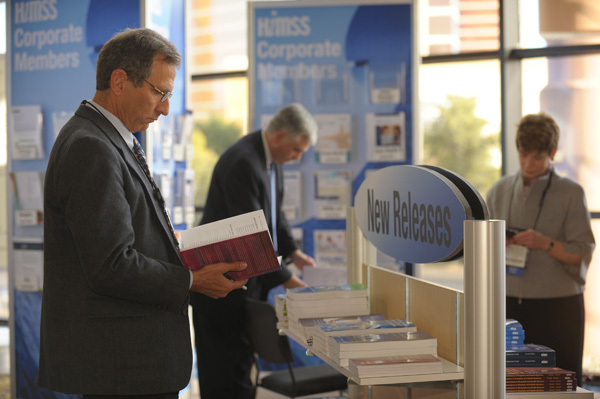 Attendees peruse the offerings at the HIMSS12 Bookstore, located next to HIMSS Central. The bookstore features reading materials on business intelligence, mHealth, IT governance and more. 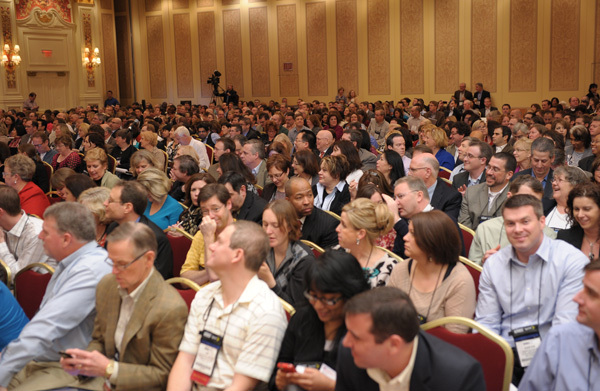 A few HIMSS12 speakers will also be on hand for book signings. 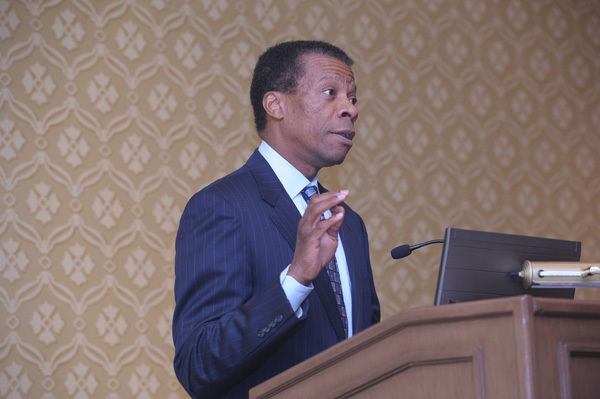 C. Martin Harris, CIO of Cleveland Clinic, delivers a keynote address at the Summit for Health Information and Financial Technology. Harris emphasized the need for a comprehensive financial management infrastructure for healthcare. 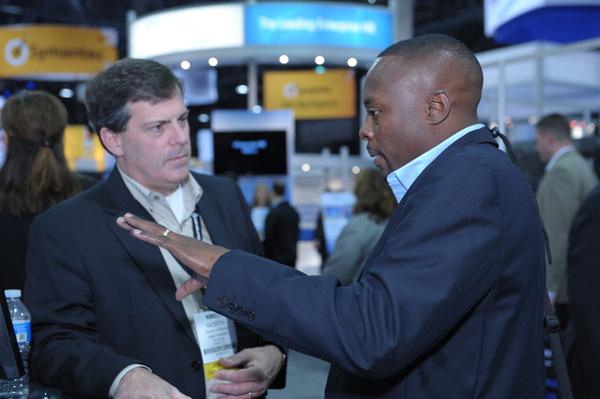 Two attendees take a moment to discuss the matters of the day in the HIMSS12 Exhibit Hall. 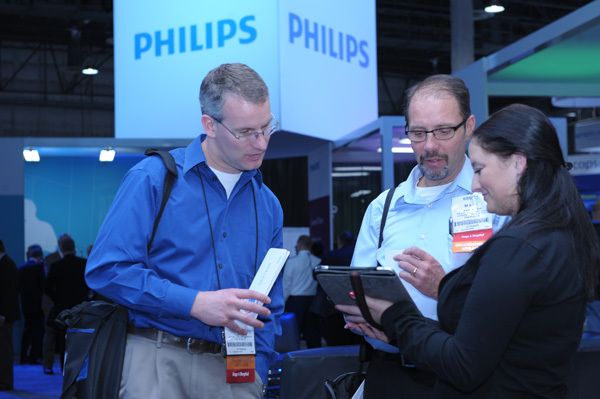 Attendees get a product demonstration at the Philips booth in the Exhibit Hall. 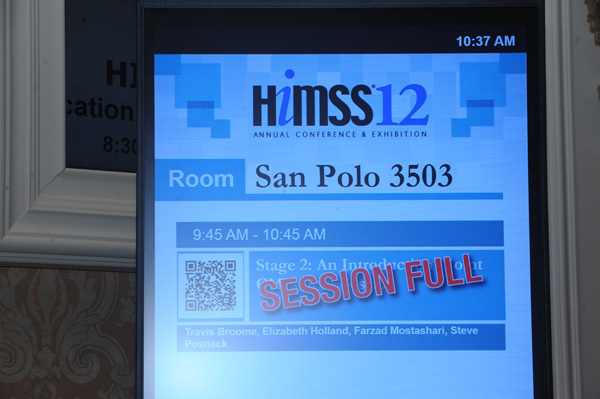 The meaningful use Stage 2 overview session was overflowing with attendees – some were even turned away. A look at the riveted audience inside San Polo 3503, where the overview of Stage 2 meaningful use was held. 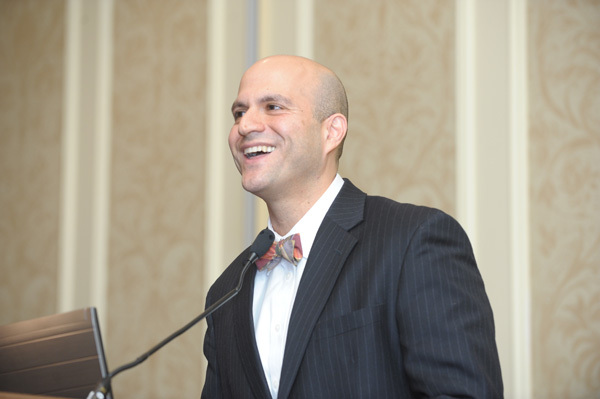 ONC National Coordinator for Health IT, Farzad Mostashari, MD, brings a sense of levity to the proceedings. 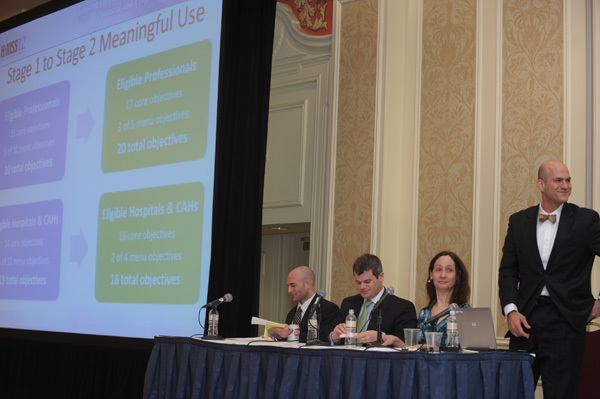 The panel, including Travis Broome, Steve Posnack, Elizabeth Holland, and Farzad Mostashari, discusses the ins and outs of Stage 2 meaningful use. 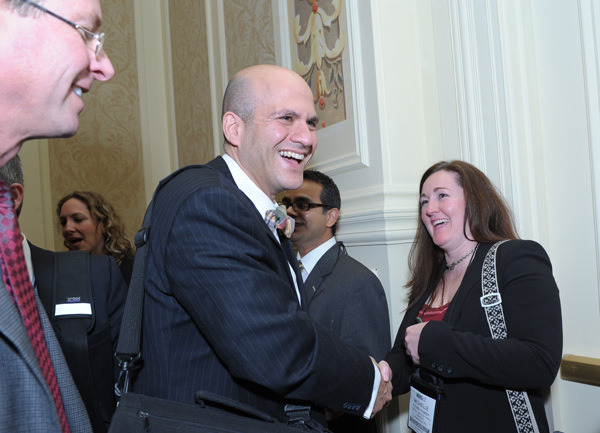 Following the presentation on Stage 2 meaningful use, Farzad Mostashari takes some time to meet and greet attendees.